This week's update: Our Community Building has gotten an update! Inside, we installed new ceilings, new ceiling fans, removed pegboard from the walls, and repainted. Outside, we are having a mural painted by the esteemed local artist Adam Long and redoing some of our landscaping near the building. See here for a video showing his work on the first day. WOW! On his Facebook page, he is asking for ideas for small "hidden" objects to be inserted into this mural. Click here to go to his page and put in your ideas and opinions on what makes the Fair special for you! This week at the Fairgrounds, we are having 4-H meetings for the Lucky Panda Club on Monday; the Dog, Horse and Pony Judging, and Standford Ridge Runners Clubs on Tuesday; the Swine Club on Wednesday; and the Mini Fairgrounds Clubs on Thursday. ​In addition, the Walk-a-Lot Homemakers Extension Club will be meeting on Thursday morning, the Bloomington Coin Club will be having a Coin Show on Saturday, and there will be a Beef Club Clinic in the Beef Barn on Sunday. We hope you all have a great week! Saturday, April 13th: The Bloomington Coin Club will be hosting a Coin Show in the Community Building from 9 a.m. until 4 p.m. Come on out and see some rare and interesting coins! 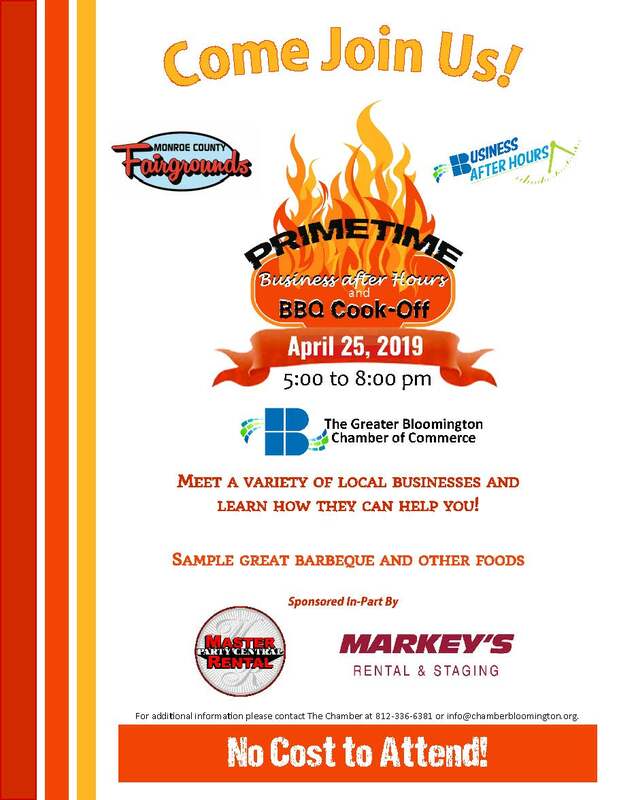 Sunday, April 6th: There will be a Beef Club Clinic in the Beef Barn starting at 9 a.m.
Thursday, April 25th: The Bloomington Chamber of Commerce is hosting their annual Primetime After Hours BBQ Cook-Off event at the Fairgrounds from 5 - 8 p.m. Free (except for alcohol), open to the public. See here for more information. Please excuse our mess as we work on our website. We are doing our best to add content as well as update the content we already have. In the meantime, things may not be quite as presentable as we'd like. We thank you for your patience during this time.